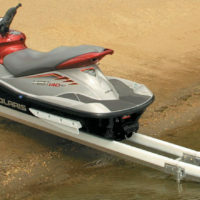 Free up dock space and protect the hull of your small boat or PWC with this easy-to-assemble rail lift. Slide-N-Go sets up almost anywhere in minutes and is as simple as its name. 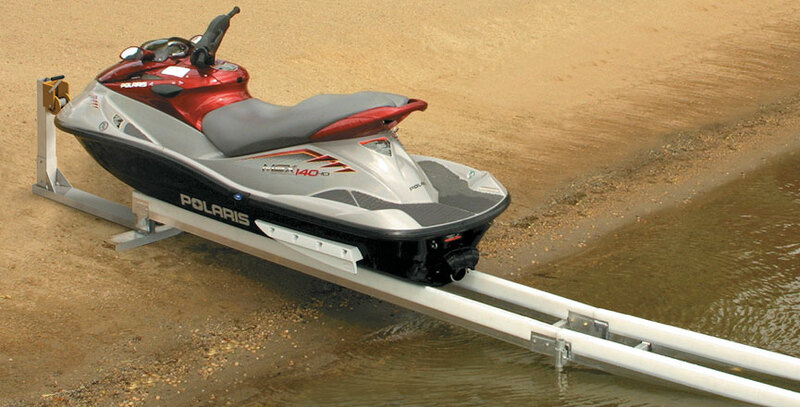 Slide your watercraft down the non-scratch plastic glides and crank it back up in seconds. 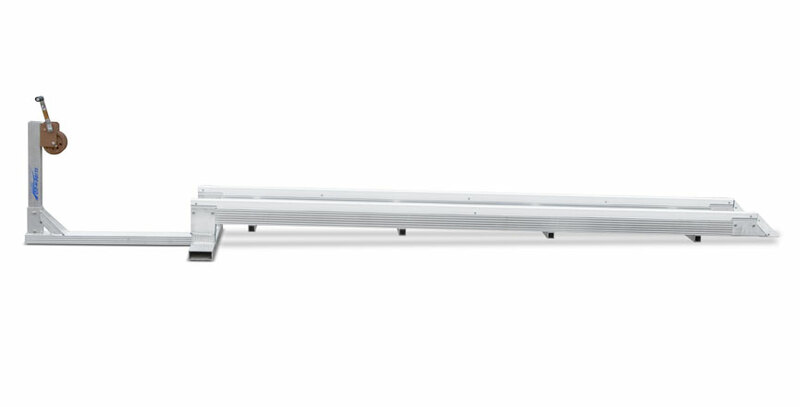 If you need extra length, the basic model can be quickly expanded with an add-on track extension. Plus, a sufficient amount of cable strap is included with the winch to accommodate the use of track extensions.